The new American aspiration is to stand out from the crowd, not keep up with the crowd. 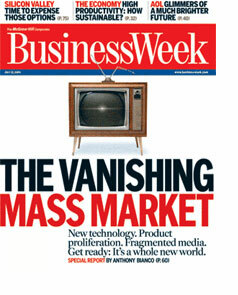 The July 12, 2004 cover story of BusinessWeek features the shift from a mass media, mass production economy to an individual-targeted, mass customization one. People don’t want to be normal and part of a consumer crowd, they want to be unique yet part of a real community. This graphic from the magazine illustrates this well. How does this apply to our communities: our neighborhoods, workplaces and nightlife? That’s what this web site is all about!